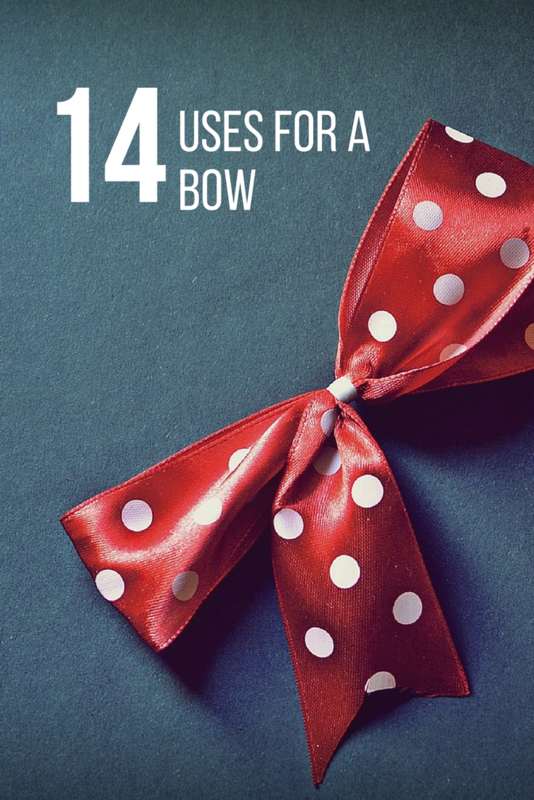 A bow is such a universal item that can be used for a lot of things. It can have a practical purpose or it can be a nice decoration. It can be elegant and stylish, it can be festive and it can be colorful. When it comes to materials, a ribbon is perhaps the best one to use, but there are other materials that could be used as well, such as felt, lace, fabric, or even paper. There are many ways to tie a scarf around your neck, and here’s one creative way. Tie a large bow. Of course, the scarf needs to be quite long. It might be difficult to do this with those bulky woolen scarfs, but instead try using a thinner fabric. Create a circle, hold in the middle to create two loops which will make up a bow, and then wrap it with the other scarf end. You can make so many wonderful things to decorate your home and bow is one of them. You’ll probably want to go for a large bow, to make this decoration more prominent. It can be placed on your front door, on a wreath, above a mirror, it can be hanged on the curtains, or put above a fireplace. This type of decoration is perfect for making your home look more festive, so you can make a red one around the Valentine’s Day, or an orange and brown one to decorate home for Halloween. You’ll need a material, preferably burlap, because it’s more sturdy and the bow might fall. With this type of decoration, you can use various materials, but what looks really nice is a thicker piece of paper. In fact, you can find some quite nice patterns, which could be a great decoration for kids bedroom. Here’s one easy-to-make, elegant bookmark. You’ll need fabric scraps or similar material to create a bow. You’ll also need a small piece of elastic, 1/4 inch is recommended, and a piece of lightweight iron on interfacing. You’ll also need some basic sewing supplies, including scissors, a needle, and thread. There’s nothing more elegant than a large bow around the waist to decorate a wonderful dress. You need to make sure you tie it correctly so that it doesn’t drop. You also want to make the loops quite big to make the bow prominent. This one is a classic. Bowtie is such a wonderful accessories, and to know you can make one yourself following a couple of easy steps, this becomes a new DIY project you’ve been looking for. Match it with a nice little shirt and you have a fancy outfit. Bowties are reserved for formal events, but what your little one will really need every day is a bib. You won’t be able to imagine a day without those, so why don’t you just use all materials you have around the house to make these stylish bibs. Of course, there’s a special place for a bow. A bow is an adorable decoration, especially for cute little babies. Baby crochet booties are a perfect example. It’s a bit trickier project, but if you follow the instructions closely, you’ll get the hang of it. In fact, it’s quite easy to make them, and the bow is added in the end. Bow cuffs can be such a cute little details on sweatshirts or leggings. It needs a bit know-how, but bows can look much nicer than same old stitches. This is also perfect if you have leggings that are too long for your child, or if you want to shorten regular leggings into 3/4 length. Another way to make a bow a nice accessorize to your clothing is to use worn out jeans, cut them and attach bow cuffs. This could be a perfect summer outfit, especially if you use colorful designs for the bow cuffs. You’ll need a sewing machine, but the process of attaching the cuffs is quite simple. This bow could be a nice little detail for your fancy dinner party or for celebrations such as a wedding. It’s easy to make it, with no sewing required. 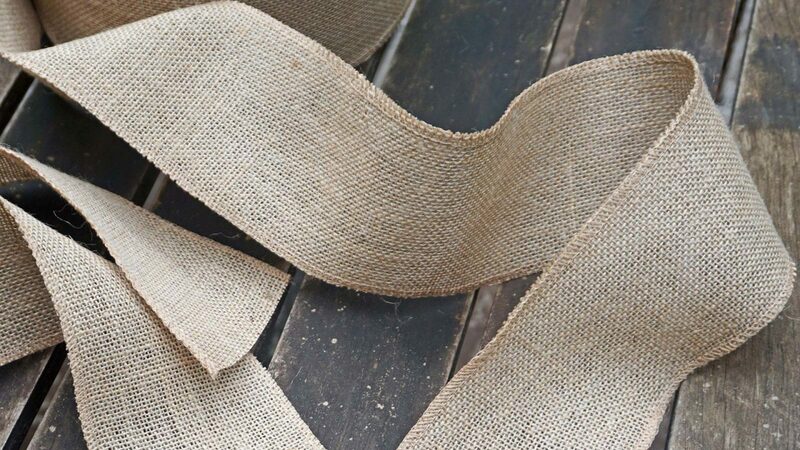 Burlap is a great material to use here, but you could also combine fabric at the top and then have satin ribbon bow. A bow can be such a nice decoration in your living room, used to decorate pillows. There are two options here. You could either make a bow and sew it onto the pillow as a decoration, or you could even make a pillow in the shape of a bow. For the second one, try using different patterns or colors to highlight the shape of the pillow. Since they can be so elegant, especially when made of satin ribbon, or some glittery fabric or paper, bows are the ultimate Christmas tree decoration. They can be used to tie the ball decorations, or the bow alone could be a decoration. Finally, a bow topper is also a great idea, but be careful to use a large, distinguished bow to make the topper really stand out. This one is a classic. Wrapping a gift in paper or packing it in a nice box simply isn’t enough. A bow gives that special touch to any gift. Satin ribbon is an amazing material to be used for this purpose, and the width should be based on the parcel. For smaller ones, 1/4 inch might work just fine, but make sure you use wider ribbons for larger parcels because you want the bow to really pop. I love these ideas so much 🙂 I wouldn’t even think about using bows in some of these ways, but now that I’ve seen these creative projects, I’ll have to try some of them myself. I’ve just shared photos of my project on the forum, I’ve used ribbon bows to decorate a headband. By the way, I appreciate these ideas as well, I’m going to try this bookmark next, I’m sure my daughter’s going to love it.